Felt is a non-woven fabric composed of interlocked fibres. There are two main types of felt: pressed felt, which is produced by applying heat moisture and friction to entangle and bind fibres together, and needle felt, which uses only a mechanical operation to interlock the fibres together. 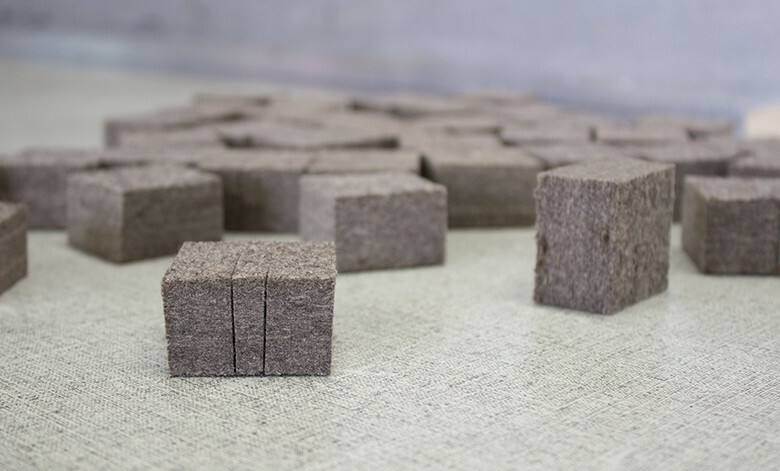 Felt can be made with both natural fibres, such as wool, and synthetic fibres like acrylic and polyester. In general, pressed and wool felts are considered to have the highest quality of any available felt. Felt can be obtained in various lengths, widths, densities, and thicknesses. It can come in rolls or sheets and is commonly available in a wide spectrum of colours. A natural product, felt retains and wicks water, oil, and other liquids. Felt is also durable and resistant to wear and tearing. It is an excellent insulator for both temperature and sound, suitable for both residential and industrial applications that are virtually limitless. A non-woven fabric, felt holds its edges and will not unravel when cut. These advantages, along with its naturally beauty and versatility, make felt the perfect material for the designer, crafter, and architect. In fact, felt is well suited for use in every sector and industry.